Do you have "Bieber Fever?" Justin Bieber comes to the BMO Harris Bradley Center on 10/21, and Ticket King has great seats. Checkout the special floor seating layout for this show. Bieber's stage will have a walkway that extends nearly fifty feet along the center of the main floor. Sit in sections one, two, or three, and you will surely get a close up view of this young, talented singer. Looking for a budget priced Justin Bieber ticket? We have seating in the upper level, that is priced just right. 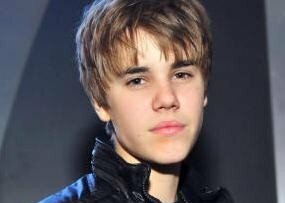 Justin Bieber is now four years into his singing career, and is one of the most popular pop singers to come out of Canada. From the moment My World was released, Justin took a rocket ride to the top of the charts. Without a doubt, he's a teen idol to millions of kids. All it took was an accidental viewing of one of his early videos by a powerful marketing manager, and the rest is history. His current tour is titled "Believe." He starts the tour in Glendale Arizona on September 29. This kid doesn't stop the fun until March 23, in Bologna. He will take a break in December, but fans might see some additional bookings for that month. If you miss the Milwaukee show, have no fear. He has two dates scheduled for the Rosemont IL - Allstate Arena on 10/23 and 10/24. See you at the BMO Harris Bradley Center!